About a month ago, I shared 3 Dutch Fashion Bloggers with you, which I felt like you should know about. But there are more of them! So today, I’m sharing yet another 3 lovely Dutch fashion blogging ladies with you to check out and follow! Did you already know them? And what do you think of their blogs? You might already know Joy from Everyday Escapism, because I shoot an outfit with her about every week! But I also felt like she deserved a spot in this post too. Not only is she one of my shooting buddies, she also has a very cool and original style. She’s a big color lover like I am, and she’s also into vintage and thrift shopping big time! Wietske from Eat Fashion Every Day has a super colorful style. Her outfits are very feminine. Even when she wears a pair of boyfriend jeans, she will finish it off with a pair of heels. And she also likes to wear berets and hats, like me! 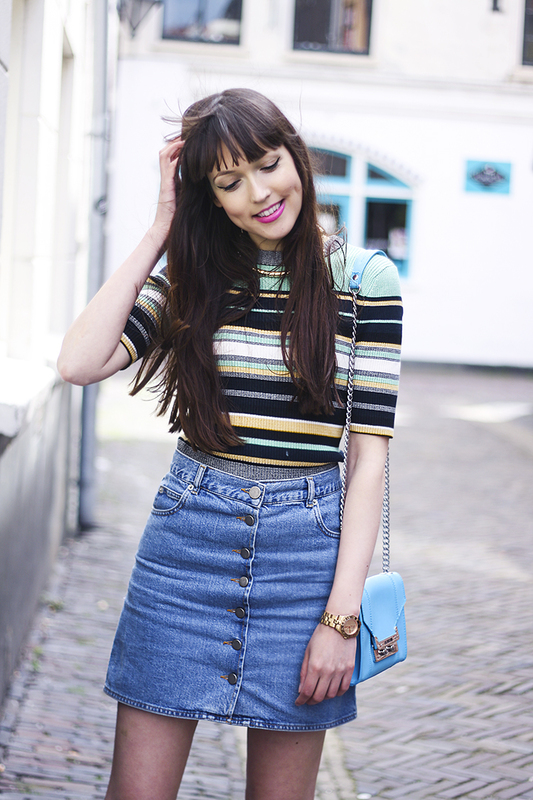 Iris from A Dash Of Fash is a lovely blogger from my hometown Haarlem! I really like her unique style. There’s always something fun or quirky about her outfits, which I really like! Yay, thanks Sonja wat leuk!!! Haha, leuk! En wat gaaf dat je in Zuid Afrika bent geweest zeg! !